Amid the flurry and hype over the regular quota for H-1B petitions, it is important to note that there are certain circumstances in which H-1B petitions are not subject to the annual statutory quota or cap. “Cap-exempt” means that there is no annual numerical limit, no set filing dates, and no set employment start dates. The cap exempt provision of the H-1B visa program allows certain United States companies and organizations to employ an unlimited number of H-1B workers and apply for H-1B’s at any time of year. If the employer is an institution of higher education, such as a College or University, or if the employer is a non-profit organization related to or affiliated with an institution of higher education, such as a Hospital affiliated with a University, then the foreign national candidate and their associated H-1B petition are not subject to the annual quota. In addition, if your employer is a Nonprofit Research Organization or Government Research Organization, then your H-1B petition is exempt from the quota. There are also individual cases where quota caps do not apply. For example, if the H-1B visa application represents a renewal/extension, transfer petition, or an amended petition, it is not subject to the annual quota. Likewise, if the Foreign National Beneficiary (worker) has been previously granted status as an H-1B visa nonimmigrant in the past six years and has not left the United States for more than a year after obtaining such status, he or she is not subject to the H-1B visa petition annual quota. Furthermore, there is the Advanced-degree exemption to the quota. This means that the first 20,000 H-1B petitions filed each fiscal year for beneficiaries who have been granted Masters or higher degrees by United States Institutions of Higher Learning, are not counted towards the cap. Finally, it is important to note that there are certain countries that fall under one of the Free Trade Agreements in which the citizens applying for special H-1B status are exempt from the petition cap. Specifically, 6,800 visas are set aside for citizens of Singapore and Chile. In addition, H-1B workers performing labor or services in the Commonwealth of the Northern Mariana Islands (CNMI) and Guam may also be exempt from the H-1B cap, according to the Consolidated Natural Resources Act of 2008 (CNRA). 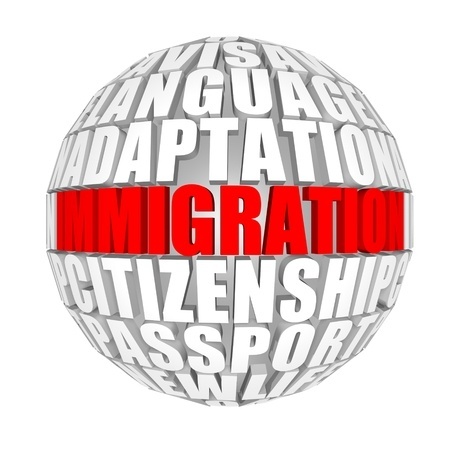 Questions about H-1B quota exemptions can be discussed by scheduling an appointment with the Shulman Law Group, LLC. In particular, if you think that you (the potential foreign national employee) or your sponsoring organization qualifies for the H-1B cap-exempt status, we can help with the analysis of your case to ensure that you meet the eligibility requirements.